As marketers, we know Facebook is a major platform for advertising that is focused on developing brand awareness and interacting directly with consumers. But there is more to it for businesses that fall outside of retail, food-service, and home-improvement service sectors. Just like these businesses, those in healthcare can use the digital space to acquire customers and build relationships with their customers. Currently, healthcare organizations use social media tools to increase patient loyalty, educate potential consumers, and communicate news and other information to the public audience. Sharing health and wellness tips is the largest common theme among social media pages for hospitals, followed by recognizing special days and employees. 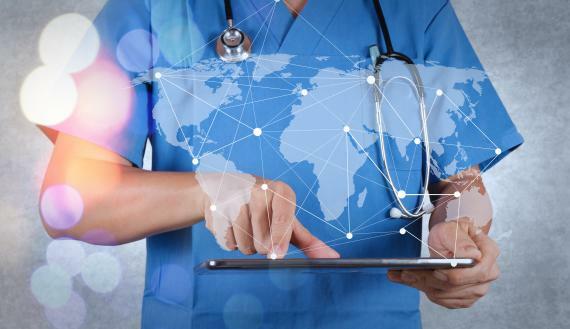 Considering that healthcare is an industry that is extremely personalized, creating valuable content means connecting with the audience. Facebook is looking to advance the healthcare initiative by selling healthcare-specific data to providers to assist in the creation of ads. The company’s current business model sells user specific information for targeted ads, allowing businesses to gain more customers and consumers to find the products/services they need or want. It is projected that this business model will extend to healthcare providers and insurers so that they may serve consumers targeted ads based on their health and wellness. For example, say you are a fertility clinic, you would buy data from Facebook that includes information on people seeking fertility treatments. You then create an ad promoting your services to get in front of that consumer. Ideally, that consumer turns into a new patient for your clinic. By entering into this new market of healthcare advertising and data analytics, Facebook is competing with existing healthcare data companies that receive patient data from pharmacies and other healthcare providers. The difference is that Facebook already has a large set of data along with an advanced advertising infrastructure, making their goals of acquiring customers and building relationships with a synthesized process.